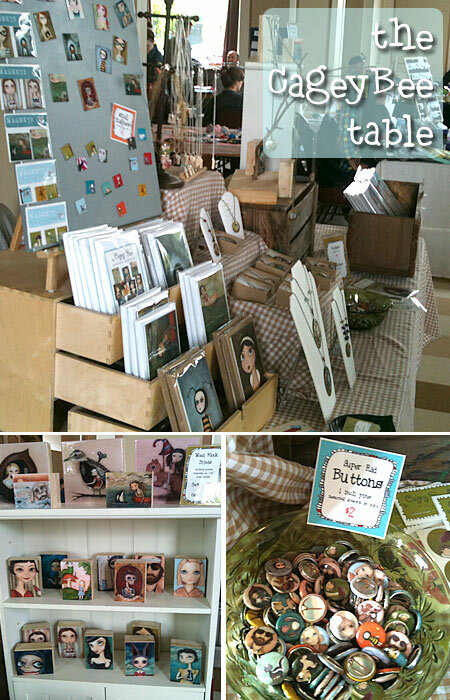 I had a great time at the Blim Community Market on Sunday, despite rushing back from Seattle late Saturday & getting very little sleep. It was a rainy day, so the shoppers were a little sparse, but that meant that I had time to chat with my neighbors & even do a little shopping of my own. 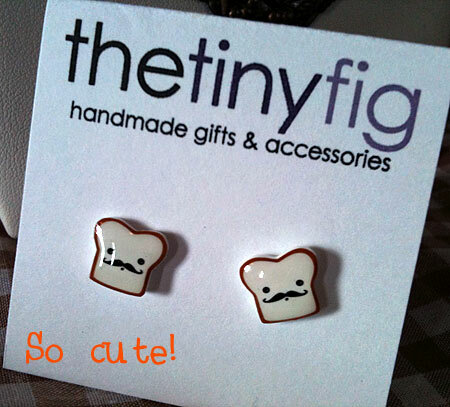 How cute are my new earrings from The Tiny Fig??? Love ’em! 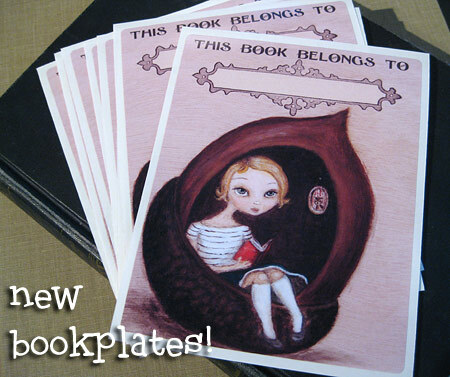 That said, I *do* have something new in the shop today – Acorn Bookplates ready to be personalized with your name! I love the tradition of bookplates & am thrilled to add a second design to my growing bookplate collection. I’m sure the pot-bellied robot will play nice with the acorn girl. Right? Where are you going to be for CAR FREE day?